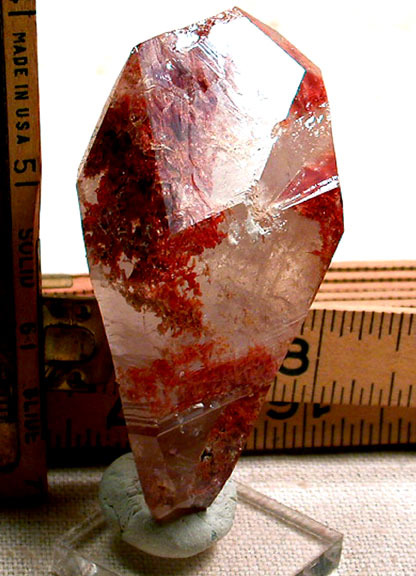 RARE, red clay included tabular doubly-terminated Arkansas quartz crystal. Knocks your socks off. 3D inclusions. Two major sprays of veils. Rainbows. Record keepers. Great for grounding, drawing, and healing. Nice growth crater - fleabites, as much care as was taken. Extra prism faces and a skewed Isis face. Growth marks and a panoramic main face off the Isis. Handy 1 3/4x 3/4x 3" size.